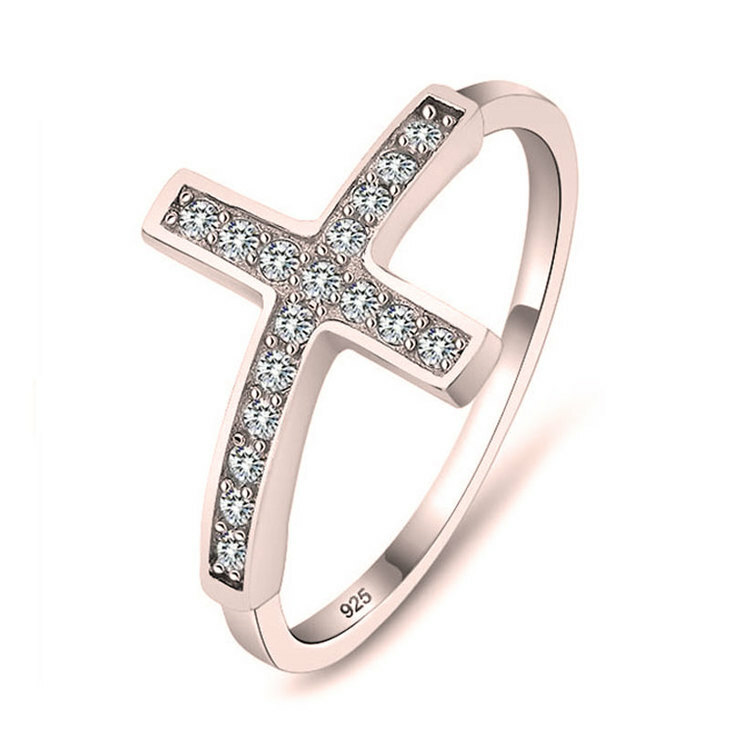 This adorable sideways cross ring is a delicate symbol of your faith, glittering with Cubic Zirconia stones, the perfect touch of sparkle for this classy cross ring. Crafted from the highest quality materials, from Rose Gold, 24K Gold Plating, or simple Sterling Silver Layer, this ring is both dainty and elegant. Pair with other rings from your collection for an ultra-chic statement, or wear by itself, for a truly dazzling effect you'll fall in love with. Treat yourself today to a side cross ring of your very own, or surprise a loved one with this meaningful piece. Buy Now!